5 “Healthy Habits” that Can Actually Be Harmful. Editor’s Note: This website is not designed to, and should not be construed to, provide medical advice, professional diagnosis, opinion or treatment to you or any other individual, and is not intended as a substitute for medical or professional care and treatment. For serious. As members of our modern, globalized society, we are continuously exposed to a variety of magazine articles, television and radio shows and other forms of online media that bombard—and often confuse—us with contradictory information. One research report negates what another confirmed to be proven true, leaving us in quite a quandary as we seek to form and follow healthy habits. I, too, was once lost in the quagmire of modern media when it came to health. Having encountered, studied, practiced and then taught Ayurveda, however, I now feel certain about how we can not only obtain, but sustain, amazing health. Whereas our modern medical system is relatively new, and therefore, continuously in a state of change and flux, Ayurveda, India’s ancient medical system, has been around for 5,000 years, proving as effective today as it was thousands of years ago. The reason many of us may not have heard of it is because Ayurveda was banned for many years by the British colonists. Because it delivers incredible results where other systems of medicine often fail, Ayurveda is seeing a great resurgence in our era. In my own life, I truly believe that only Ayurveda, with its four-dimensional approach to healing (addressing body, mind, soul and senses), could help me overcome anorexia nervosa: a problem that involves all four dimensions. While being a complete medical system (one of the original authors of the ancient Ayurvedic texts, Rishi Sushrut, is known in western medicine as the grandfather of modern surgery), one of the most inspiring aspects of Ayurveda is its active promotion and teaching about how to become—and remain—healthy at all levels. These teachings together comprise an entire sub branch of Ayurveda called Svasthavritta. Svastha means health, and Svasthvritta literally means the actions, behaviors and habits that keep us healthy. Ayurveda’s time-tested health-promoting wisdom sheds light on why the following habits touted by modern media as healthy can actually harm us. 1. Make breakfast your biggest meal. We learn as part of Ayurveda’s prescribed daily routine (called Dinacharya) the importance of eating lighter at breakfast and dinner, and eating the most quantity at lunchtime instead. The reason for this is that Ayurveda follows a natural circadian rhythm. We are solar powered creatures, and so we must follow the sun’s course in our daily lives to be abidingly healthy. The state of your digestion is believed to be a reflection of one’s overall health in Ayurveda. We have our greatest digestive capacity at the time of day when the sun has fully risen, which happens between 12-1 p.m., the time Ayurveda recommends we eat a large lunch. Having grown up eating larger breakfasts and dinners, my health and digestion definitely thank me now for making lunch my heaviest meal. 2. Drink eight glasses of water daily. Ayurveda teaches us to only drink water (or any other liquid, for that matter) when we are thirsty—but not otherwise. Excess water intake (which occurs when we drink beyond our thirst level) is, in fact, a causative factor for obesity, skin problems, digestive, and many other health challenges. If you’re actually thirsty enough to drink 8 glasses, do so. If not, don’t. As a society that has unprecedented rates of obesity, it is very easy to want to practice avoiding fat consumption altogether. Modern western and ancient Ayurvedic medicine both agree that we actually do need some fat to be healthy, regardless of how fat we may be—it just must be the right kind of fat. The fat derived from ghee (clarified butter), mustard and coconut oils, nuts and avocados is considered healthy. What Ayurveda additionally teaches, however, is that these fats can only increase your health to the extent that you can digest them. While an obese person will benefit from having some fat in his or her diet (ideally in the form of ghee), it must be a relatively small quantity to be able to help. Having a relatively strong digestive capacity, overcoming the fear of fat and mindfully consuming it has given me a greater overall sense of satisfaction from eating. Anyone close to me, in fact, can attest to my now undying love of ghee! 4. Make up for lost sleep on weekends. There is this idea that we can accumulate sleep debt during the work week and repay it over the weekend by sleeping in. Having once heavily subscribed to this belief, I now strive to maintain a regular sleep pattern, as good sleep habits are considered one of the three pillars of health, according to Ayurveda. Try sleeping by 10:30 p.m. at the latest and awakening no later than 6 a.m. regularly and you, too, will feel the difference. 5. Exercise vigorously daily, no matter what. I will proudly raise my hand to tell you I fell (hard) for this so-called healthy habit, too, and suffered from all sorts of aches, pains, and cracking joints as a result. There is no one-size-fits-all prescription for exercise in Ayurveda—how much, how long, what kind, when, as well as our own individual strength are all factors that play important roles in determining our ideal exercise habits. A woman should never exercise during her menstrual cycle and exercise is also contraindicated when we are ill, infirm, or already completely exhausted from excess travel, work, study, etc. Ayurveda’s seasonal wisdom teaches us that we can exercise more vigorously in the winter and spring months, as we feel physically stronger during these times. The heat and dryness of summer and early fall cause very vigorous exercise to deplete and exhaust us; a gentler routine is recommended at this time. Following Ayurveda’s health promoting wisdom has truly changed my life in countless, amazing ways. But don’t just take my word for it—try following even just one of these tips and you, too, will start to see and feel the difference for yourself. 1. Lochan, Kanjiv. Ashtanga Hrdayam. New Delhi: Chaukhambha Publications, 2011. 2. Sharma, Priyant. Charaka Samhita Sutrasthana. Varanasi: Chaukhambha Oriental, 2003. Ten Things that are Bad for Us that can be Good for You if Practiced Mindfully. It’s More Than What We Eat: 12 Ayurvedic Tips for Healthy Eating. 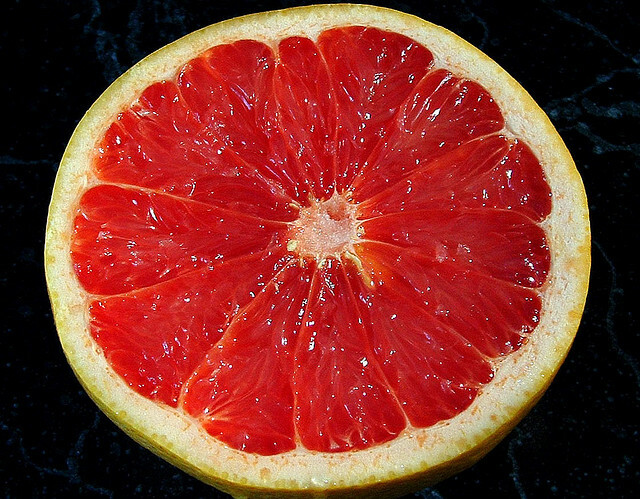 5 “Healthy” Foods that Aren’t that Healthy. To Multi-Vitamin or not to Supplement? I disagree with the water limitations and not exercising during a woman’s menstrual cycle. I drink a gallon to 2 gallons of water every day and feel horrible when I don’t. Also, I get immense relief and release when exercising during my period. Not every practice or belief or whatever fits every single human. We are all unique and different. Ayurveda is yet another system available for those who resonate with it. I drink 4 liters of water a day. If I only drink when I'm thirsty, my skin, digestive system, and brain function will suffer the consequences. If I don't drink a lot of water each day my skin gets dry, flaky, and breaks out. I also space out and can't pay attention in class or at work if I haven't had at least a liter in the last 2-3 hours. Water is so important to our health. Ananta Ripa Ajmera is author of “The Ayurveda Way: 108 Practices from the World’s Oldest Healing System for Better Sleep, Less Stress, Optimal Digestion, and More” (Storey Publishing, 2017). She is a Certified Ayurveda Health Practitioner and Yoga Instructor who continues to study closely with Acharya Shunya, a renowned master teacher whose lineage extends back to ancient India. She serves as Director of Branding and Yoga Studies at Vedika Global, a foundation Acharya Shunya established to awaken health and consciousness with Ayurveda, Yoga and Vedanta. 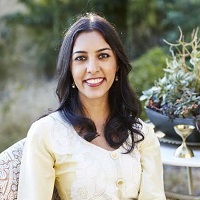 She has taught Ayurveda at Stanford School of Medicine’s Health Improvement Program, California Department of Public Health, UNICEF, Mother Earth News Fair, NY Insight Meditation Society, NYU, SFSU, and is certified to teach Ayurveda staff trainings at all prisons and police departments in California. Ananta has spoken at ABC News, the National Ayurvedic Medical Association (NAMA), Columbia Business School, UC Berkeley, Silicon Valley’s Health Technology Forum, and the Social Innovation Summit. Her work has been featured on Fox 5 News, Good Day NY, Reader’s Digest, MindBodyGreen, and Elephant Journal. She graduated from NYU Stern Business School, where she received an honors degree in marketing and was a Catherine B. Reynolds Scholar in Social Entrepreneurship. Learn more at Whole Yoga & Ayurveda.